The Leviton 5015W is a narrow body single receptacle from Leviton's product line of HeavyDuty Industrial Grade receptacles. This particular model comes in white. It is designed to withstand demanding environments. The receptacle features impactresistant thermoplastic nylon body. This narrow body single receptacle is perfect for use in hospitals, schools, hotels and commercial office buildings. It is available in a wide assortment of configurations. Among them are tamperresistant, isolated ground, etc. This is a grounded type unit. The Leviton brand offers you the highest in production standards according to National Electrical Manufacturers Association. Leviton offers a large selection of 15 and 20-Amp Commercial Spec Grade receptacles, including Decora devices available in a wide variety of colors, wiring options and other features. Leviton-Foots Commercial Receptacles are manufactured to withstand the demands of commercial and institutional applications. These commercial receptacles provide long-lasting service life and are a cost-saving alternative to the industrial devices. 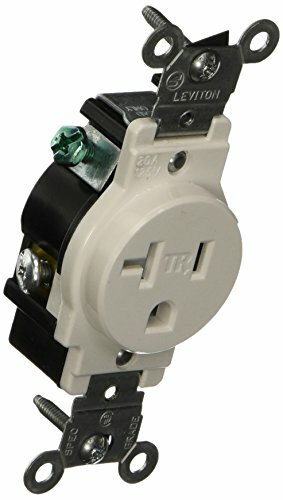 20-Amp, 125-Volt, NEMA 5-20R, 2P, 3W, Narrow Body Single Receptacle, Straight Blade, Tamper Resistant, Commercial Grade, Grounding, Back and Side Wired, Steel Strap, White. It is 15A 125V Brown 2 Pole 3 Wire Grounding Heavy Duty Single Outlet. 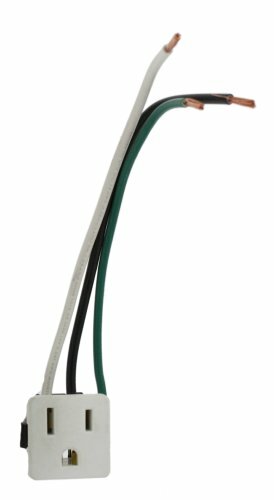 NEMA 5-15r UL Federal Specification CSA Superior Blade Retention Prevents Plugs From Falling Out. Back Body Prevents Devices Breakage Commercial/Specification Grade Box. The Leviton 5015I is a narrow body single receptacle from Leviton's product line of HeavyDuty Industrial Grade receptacles. This particular model comes in ivory. It is designed to withstand demanding environments. The receptacle features impactresistant thermoplastic nylon body. 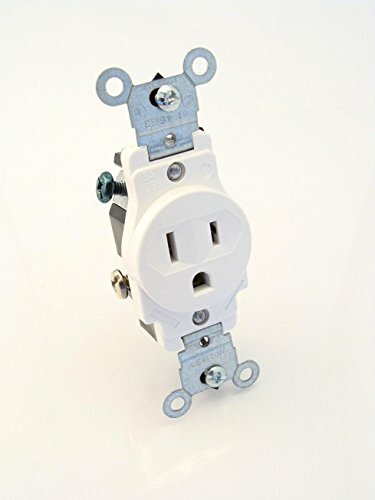 This narrow body single receptacle is perfect for use in hospitals, schools, hotels and commercial office buildings. It is available in a wide assortment of configurations. Among them are tamperresistant, isolated ground, etc. This is a grounded type unit. The Leviton brand offers you the highest in production standards according to National Electrical Manufacturers Association. 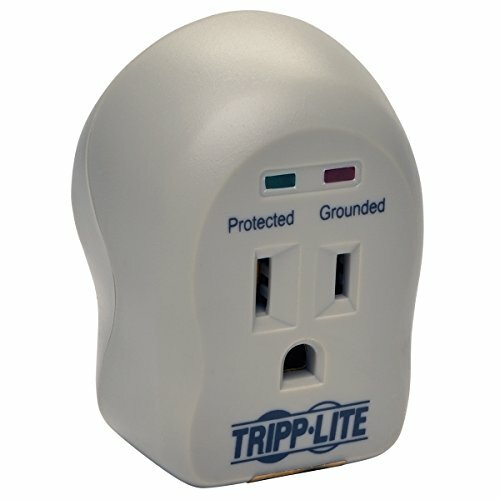 The SPIKECUBE Surge Suppressor from Tripp Lite is a direct plug-in suppressor providing protection on one AC outlet. 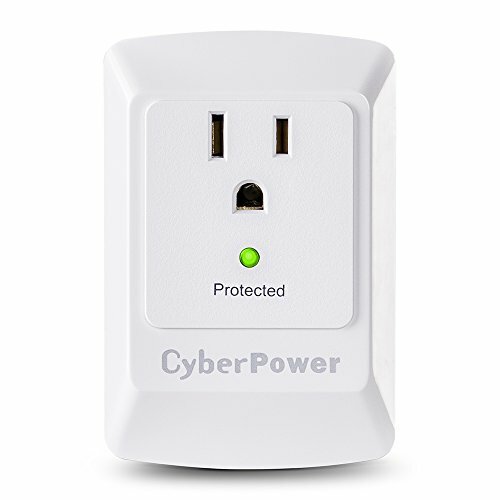 Its small size makes it ideal for protecting laptop computers, projectors and other portable electronics. 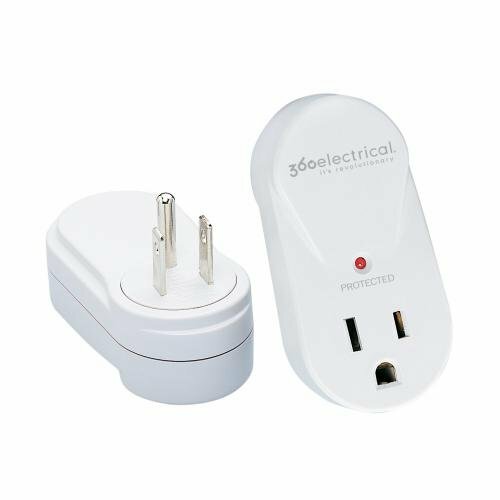 The 360 degree rotating adapter helps you fit large plugs while the surge protection shields your electronics in case of power outages. Simple to use - just plug in and rotate. The ultra-compact size is ideal around the house, at the office or on the road. 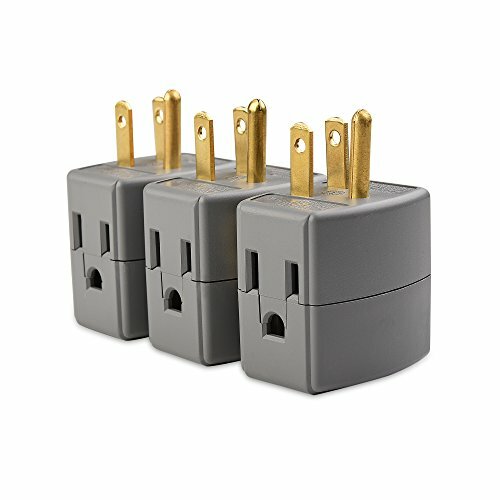 Looking for more Single Outlet Plug similar ideas? Try to explore these searches: Pattern Wine Goblet, Horse Cabinet, and Baby Sports Lamp. Look at latest related video about Single Outlet Plug. Shopwizion.com is the smartest way for online shopping: compare prices of leading online shops for best deals around the web. Don't miss TOP Single Outlet Plug deals, updated daily.